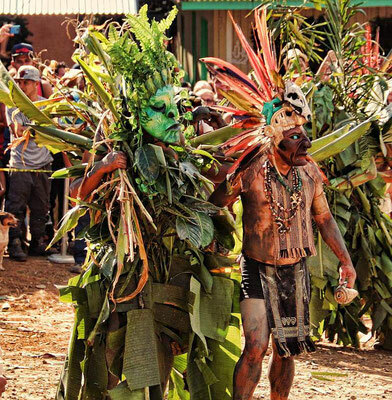 THE DANCE OF THE DEVILS... - - Boruca, indigenous of Costa Rica. 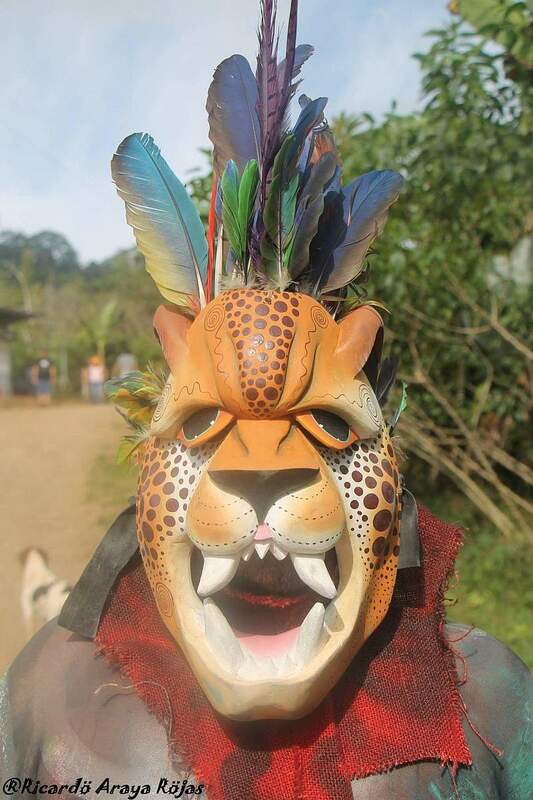 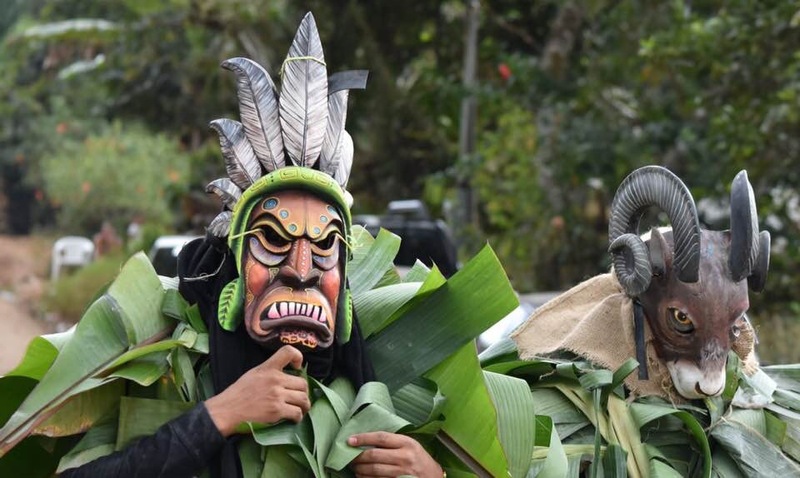 The history of the Borucan ‘Diablito’ masks began over 500 hundred years ago, when created with the intent to scare away the unwelcomed invaders, the Spanish conquistadors. 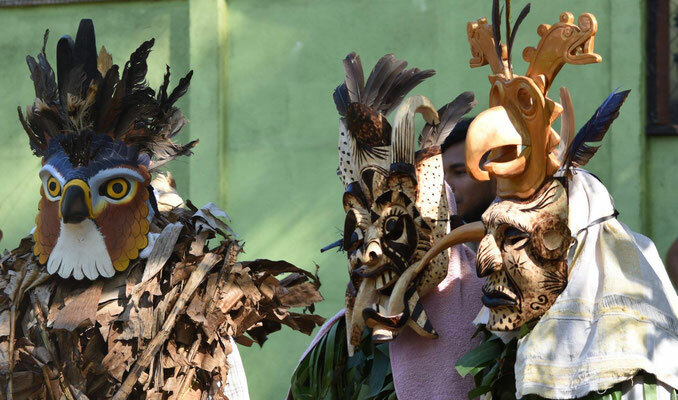 The Borucan people were triumphant. 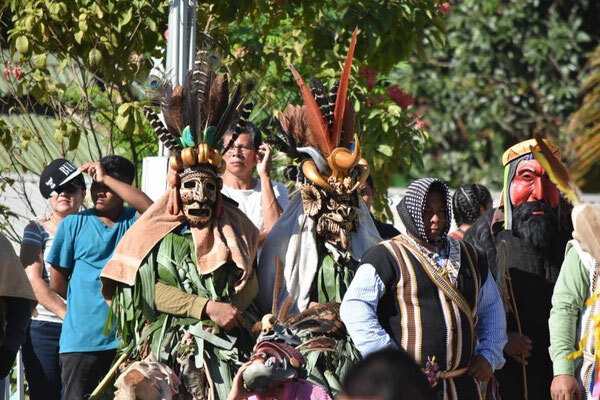 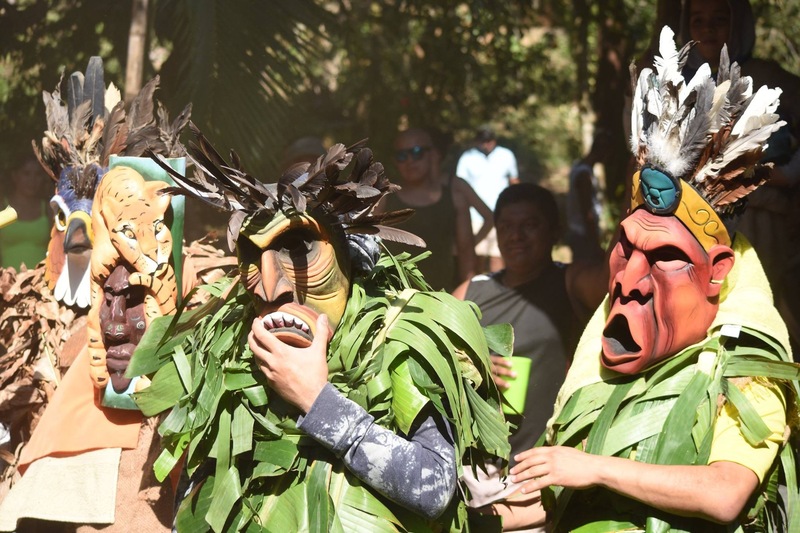 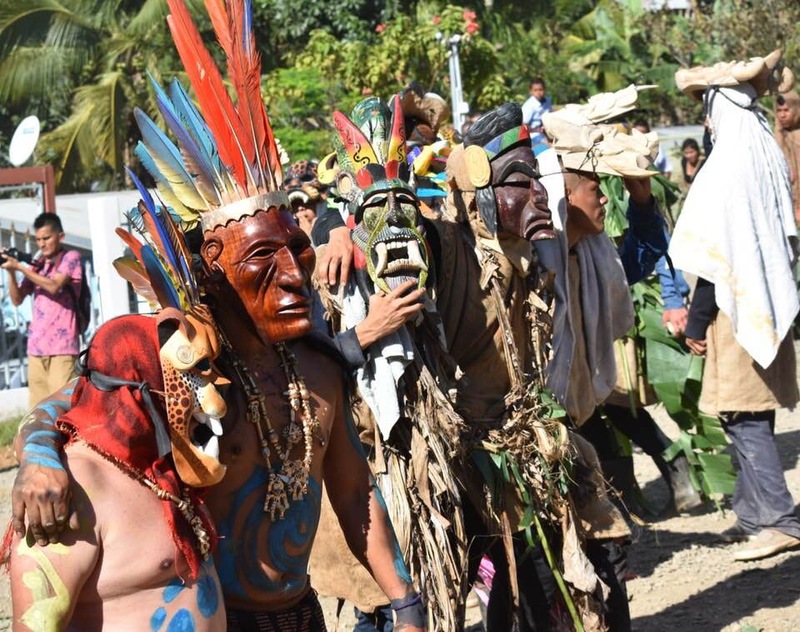 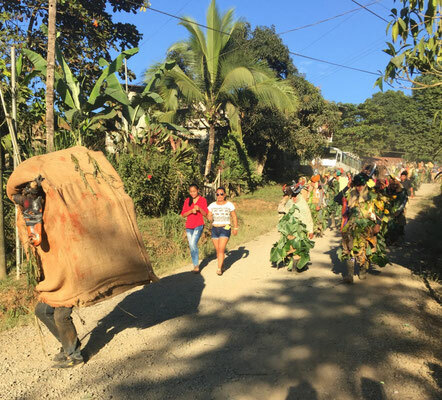 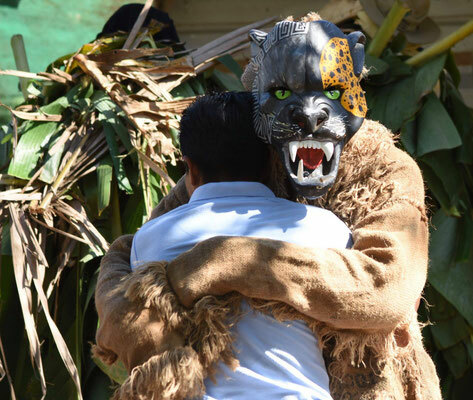 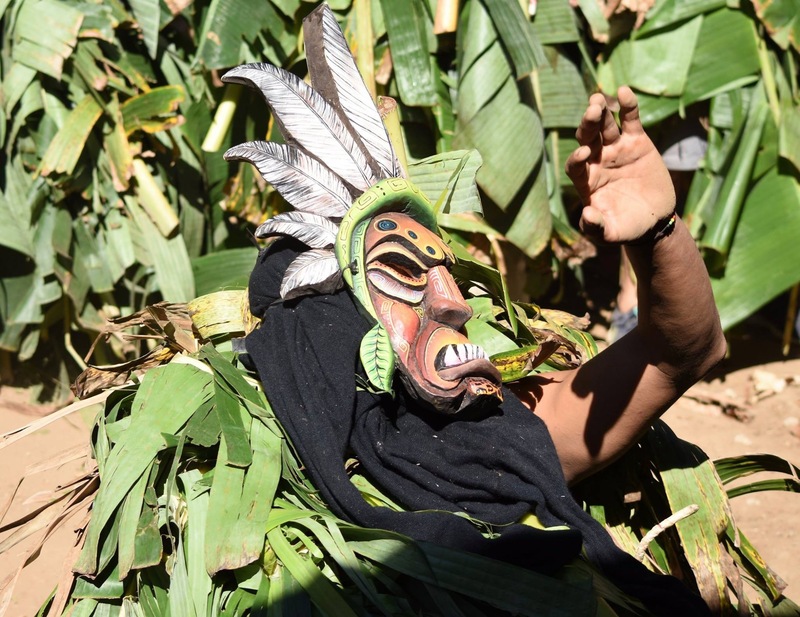 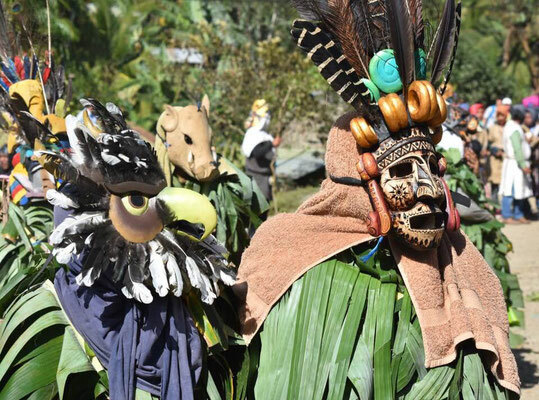 Traditionally, the village celebrates their victory by what they call the “Danza de los Diablitos”, (the dance of the little devils), from December 30 to January 2. 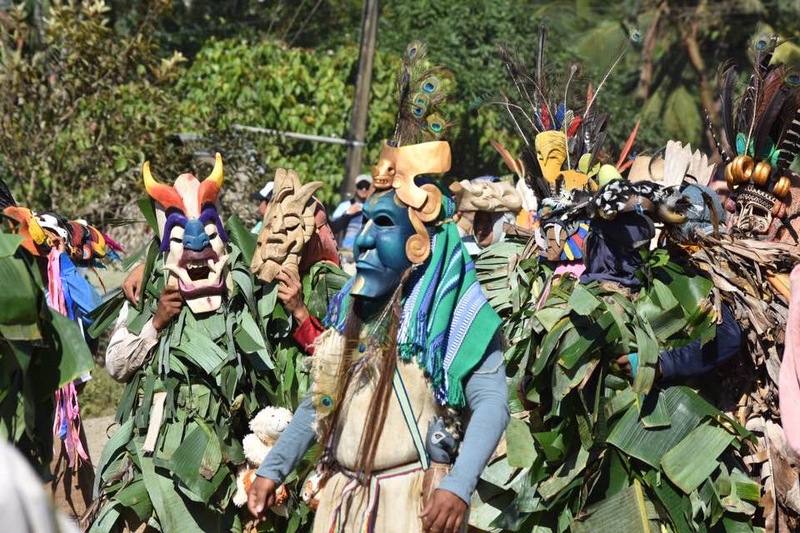 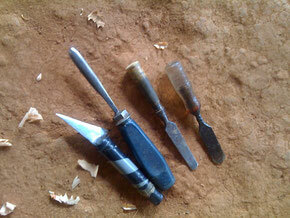 An interesting fact is that only men participate, and they must have been born in Boruca. 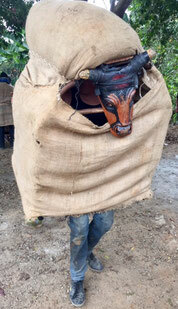 The first day the men, aware of foreign invaders approaching, hike high up into the mountains for a better lookout. 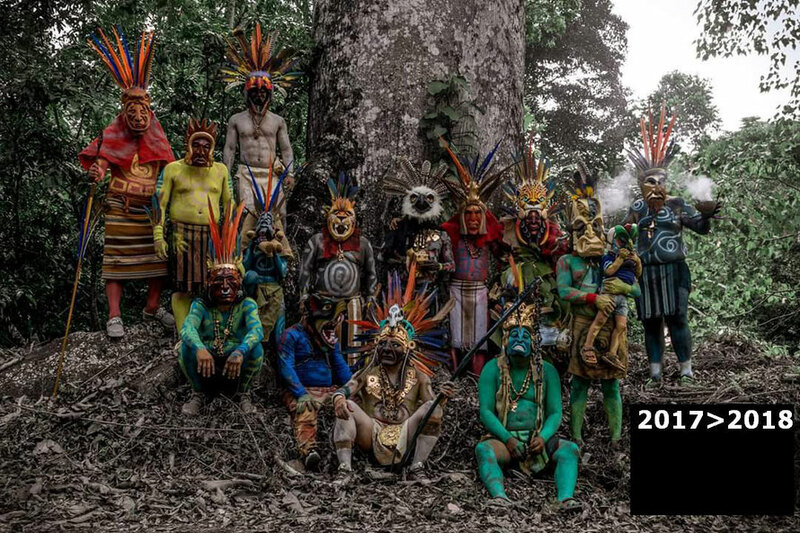 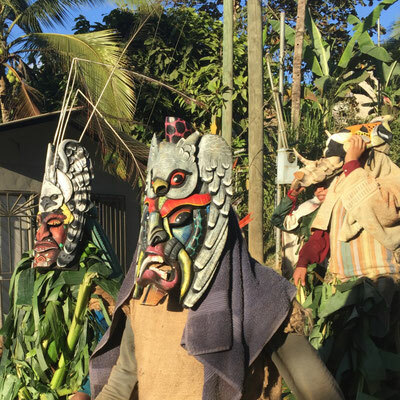 Having called on their spirits for help in defending their territory, the warriers return to the village and are now adorned in a burlap smock type covering and wearing various types of masks representing different spirits. The Spaniards are represented by a Bull, which is made from a large box covered in burlap and a mask in the form of a Bulls head. 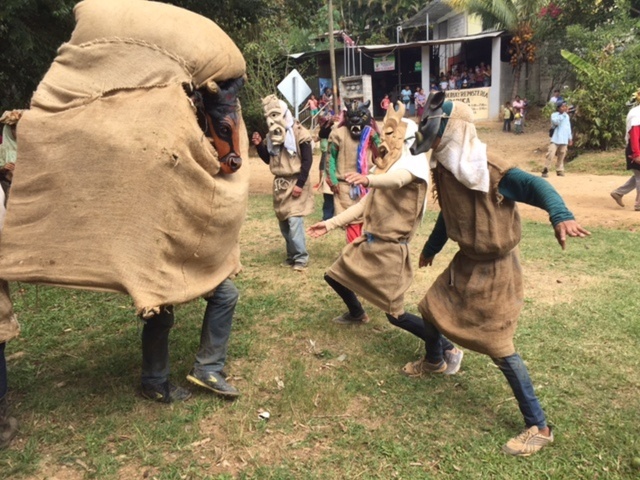 For 3 days, the little devils taunt the bull – they run at him, hit him, and the bull fights back knocking the diablitos down. 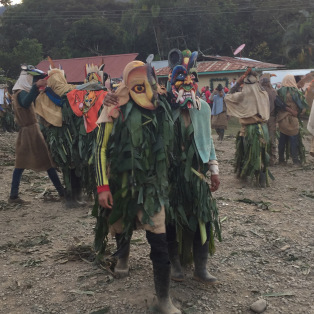 As the second and third day goes on the diablitos are fortifying themselves with a corn based alcohol, Chicha, which is very potent, hence thru the heat of the day, it does get a bit more violent. There is only one bull; because of the weight of the costume and the continual attacks from the diablitos, various people wear the bull outfit, these warriers all have on black t-shirts to depict that they are the spaniards. 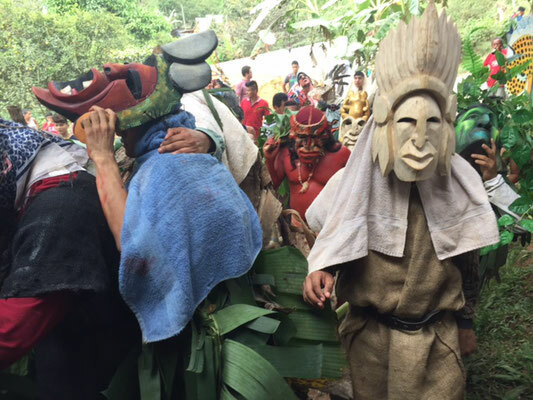 Each day the diablitos add more to their costumes. 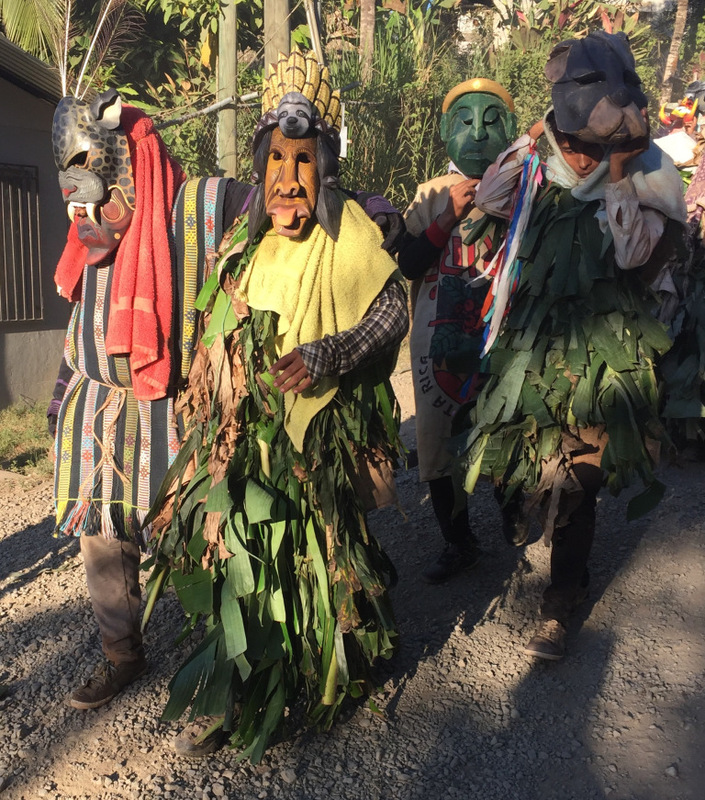 At first the Spaniards (the Bull) are gaining on the Diablitos. 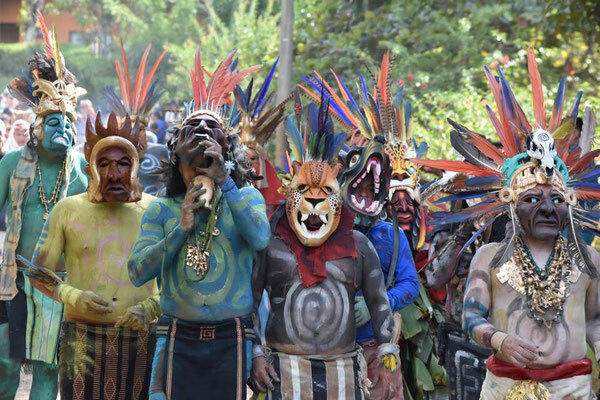 This third day the elders walk thru the village making lots of noise, banging on drums and playing the flute, with one elder blowing on the conch shell – this is a call to all the warriors to come to action. 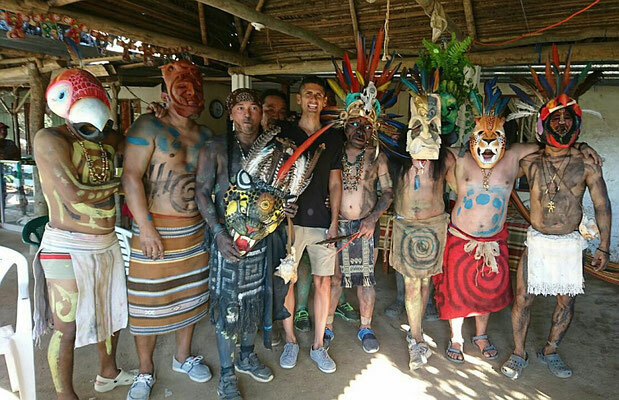 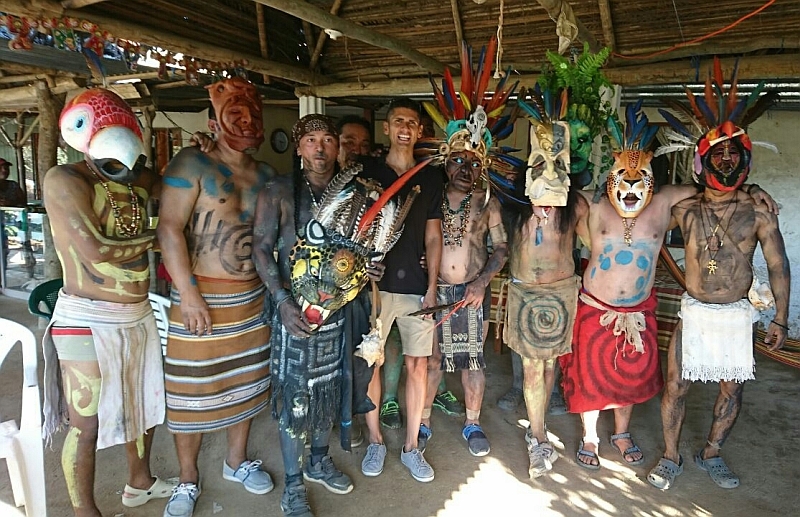 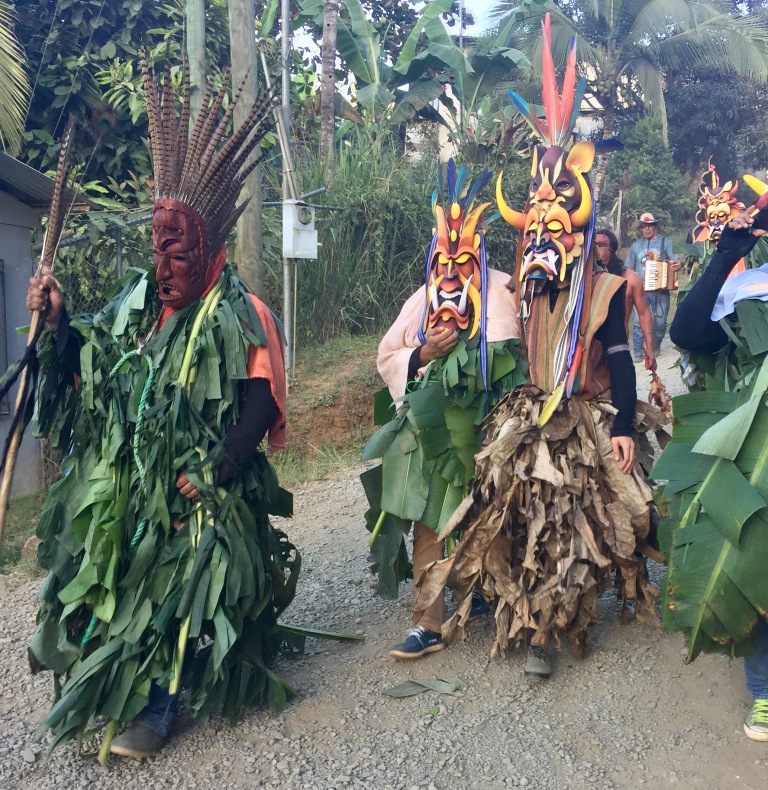 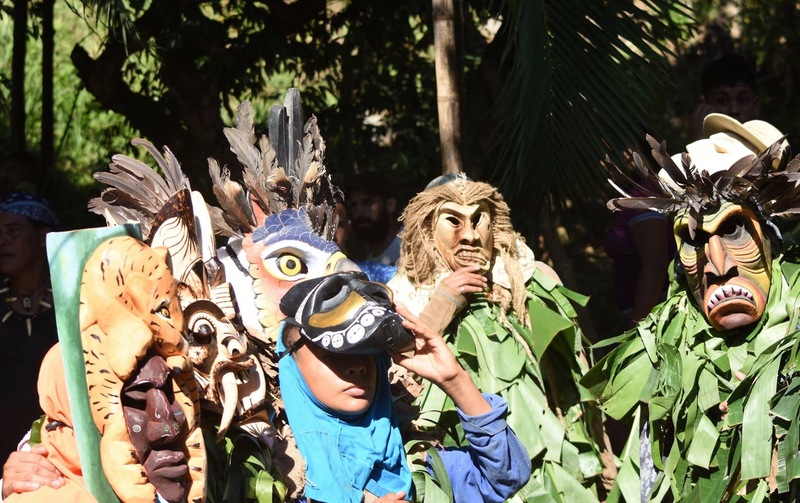 The fourth and final day, the Diablitos, stronger and more determined are now garbed in banana leaves, doubling their size and their masks are different, this is the day of the most action when they finally defeat the Bull and kill him. 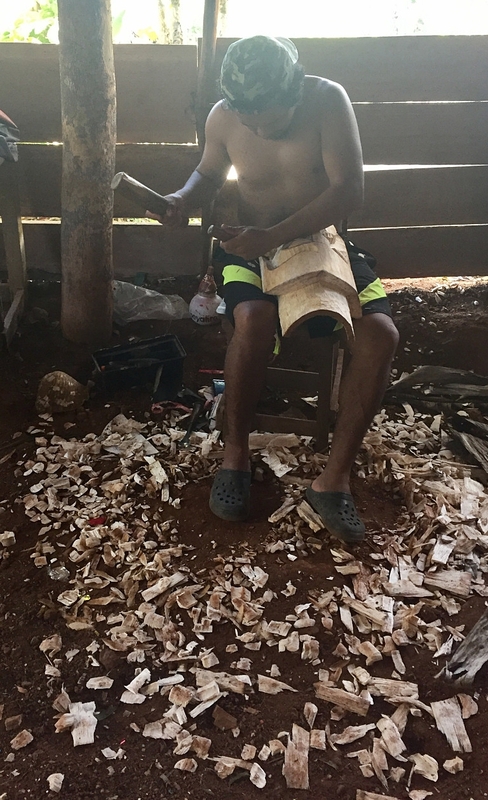 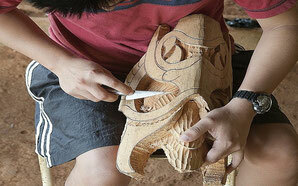 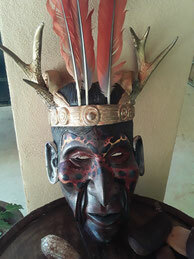 GALLERY OWNER AND OUR FAVORITE CARVER, JOSE GONZALEZ.